Happy 8th day of Chanukah. I hope that you have been able to focus on the miracles that God has done in our lives, in the past and present. 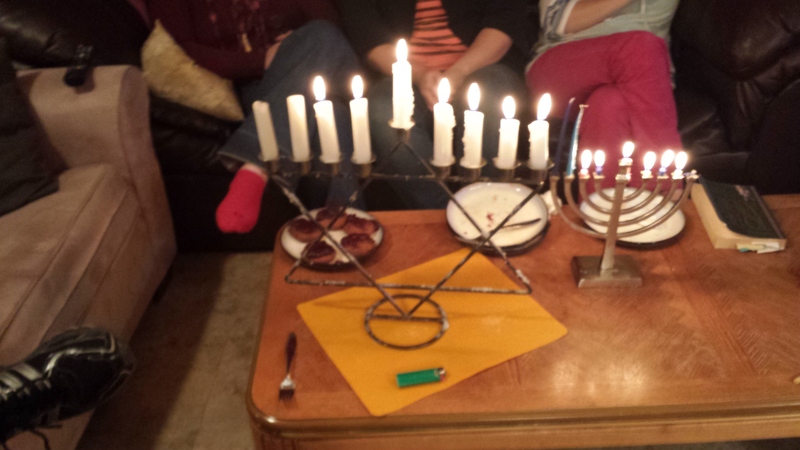 I have loved lighting candles each night as our first Chanukah as a married couple. I have even decently read the hebrew blessings aloud. We have taken our chaukiah (the smaller one) to our parents’ houses to share in the celebration. We had a Chanukah party on monday night with some of our friends – homemade pizza, latkes and jelly donuts – and played dreidel! It was such a fun and relaxing time. These are the gluten and dairy free sufganiyot (jelly donuts) – a tradition for chanukah just like latkes are – that my OH made. 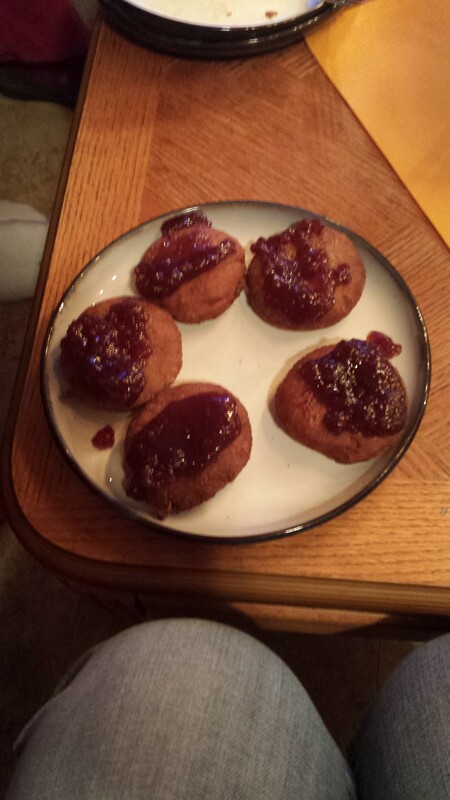 being gluten free, we opted to put the jelly on top rather than in them. Gluten free dough doesn’t work the same way as regular dough. they were so delicious and we used coconut palm sugar so that i could have them! They weren’t as sweet as they are supposed to be because of the coconut sugar but that was okay they were so delicious! Here is the link if you are interested in making them!